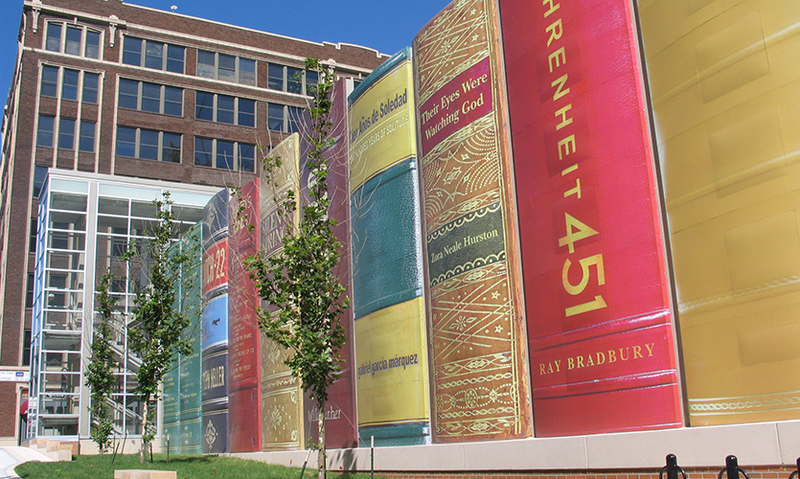 These well-known books on the parking garage have become some of the most recognizable and widely discussed additions to Kansas City's redeveloping core. 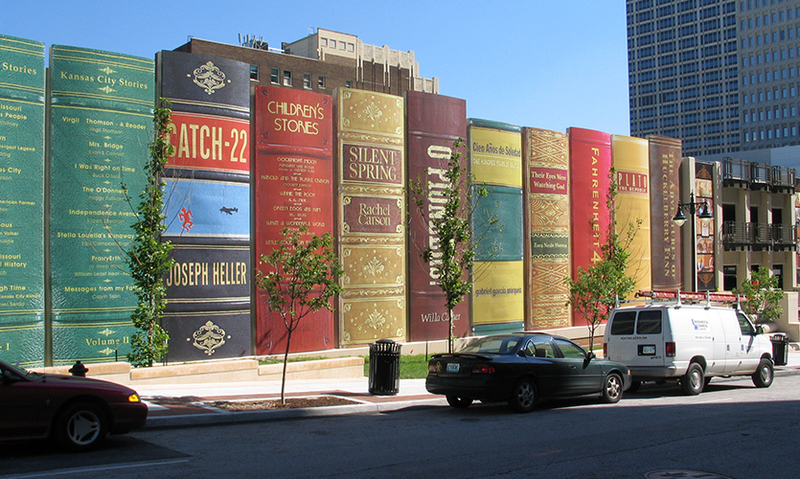 The people of Kansas City were asked to help pick the titles of the books in order to truly represent their city. When first asked to design this project, Dimensional Innovations was asked to create a small graphic panel on the center of the book spines. When the vision grew to giant books, the challenge was to reproduce the books in a realistic way and within a set budget. Rare books were professionally photographed and software used to modify and place the desired titles. 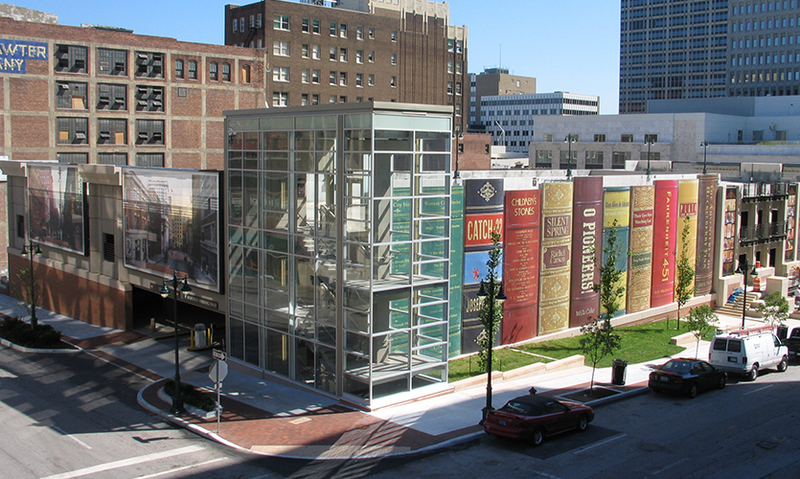 To allow light into the parking garage, an aluminum substructure includes clear Plexiglas windows through the center of the books. 3M Scotchprint with translucent printing was applied to the substructure to create the books. The postcards on the street are enlarged from original 1920s postcards of the street where the garage is now located. Aluminum in lieu of plastic was used when possible. 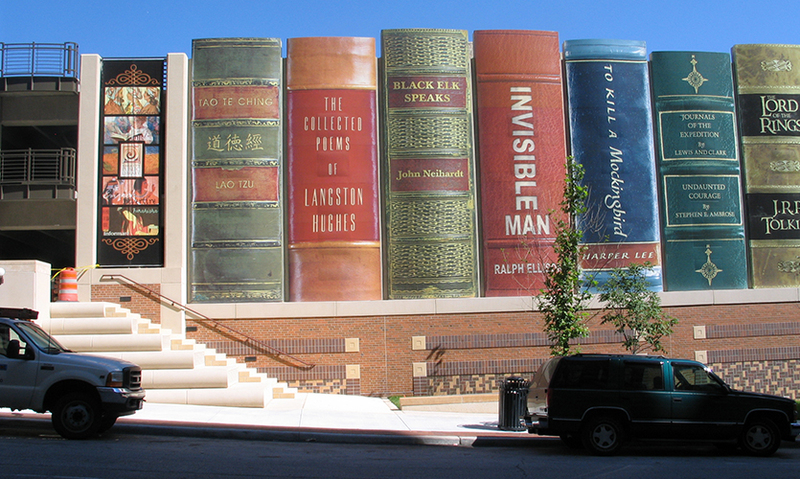 "This project celebrates books, reading, and the city in a joyfully direct and legible manner. The lovingly rendered level of detail at a massive scale brings the books to life, transforming these modest, familiar objects into monuments infused with hope and possibility. The result may be the world's most humane and enjoyable parking structure."